Libby Gill knows change. She grew up on two continents and went to eight different schools before putting herself through college waiting tables. Self-supporting by age 18, she started her first job in entertainment at a company founded by legendary TV writer/producer Norman Lear. After that company was sold, Libby rode out three corporate mergers in five years, where she moved from assistant to head of publicity, advertising and promotion for Sony’s worldwide television group. After heading communications at media giants Sony, Universal, and Turner Broadcasting, Libby left the corporate world to become an entrepreneur. In her mid-forties, Libby founded Libby Gill & Company, an executive coaching and leadership consulting firm based in Los Angeles. She’s led her company for 17 years and shows no signs of slowing down any time soon. Libby now guides entrepreneurs, non-profits, and corporate clients including Avery Dennison, CA Technologies, Cisco, Comcast, Deloitte, Disney, Eli Lilly, EY, First American Insurance, Honda, Intel, Kellogg’s, Microsoft, Oracle, PayPal, Royal Caribbean, Speedo, Sutter Health, Viacom, Warner Bros., and Wells Fargo to lead their teams through change, challenge, and chaos. In her new book THE HOPE-DRIVEN LEADER, Libby shows high-performing individuals and organizations why hope IS a strategy – if you have the right mindset, methodology and expertise. She shares the science-based concepts of hope theory to provide the structured business discipline and competitive advantage you need in today’s swiftly changing world. As Libby was reinventing her professional life, her personal life also underwent a major transition. She chronicled her journey of overcoming the self-perceived limitations left behind by a family legacy of alcoholism, divorce, mental illness and suicide in her bestselling book TRAVELING HOPEFULLY: How to Lose Your Family Baggage and Jumpstart Your Life. Business leaders including Zappos.com CEO Tony Hsieh and Dr. Ken Blanchard have endorsed Libby’s award-winning book, YOU UNSTUCK: Mastering the New Rules of Risk-taking in Work and Life. 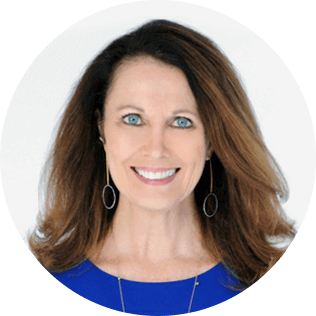 A frequent media guest, Libby has shared her success strategies on CNN, NPR, the Today Show, and in BusinessWeek, Time, The New York Times, Wall Street Journal, and more. A former columnist for the Dallas Morning News, Libby lives in Los Angeles and is the proud mother of two fabulous millennials. Zeroing in on what she sees as the defining issue of creating a more purposeful and productive workplace, Gill explores how the science of hope theory, which derives from the medical and positive psychology communities, can shift mindsets from siloed to collaborative and productivity levels from sluggish to robust. This presentation is not about feel-good theory or dry data. It’s an action guide informed by the thousands of people Gill has coached in both the corporate and entrepreneurial worlds around the globe. The former head of communications for Sony, Universal, and Turner Broadcasting, Gill is the founder and CEO of Libby Gill & Company, an executive coaching and consulting firm. She has shared her success strategies on CNN, NPR, the Today Show, and in BusinessWeek, Time, The New York Times, Wall Street Journal, and more. Libby’s clients include ADP, Capital One, Cisco, Disney, Genentech, Honda, Intel, Medtronic, Microsoft, Sony, Warner Bros., Zurich Insurance, and many more. 1. Discover the science-based benefits of hope theory. 2. Master the 4 keys to creating followership. 3. Identify your unique Leadership Superpower that inspires purpose and drives performance.